Estar Medical is committed to the innovation and development of medical devices used for autologous regenerative biologics and to the creation of autologous therapies for the purpose of improving the patient’s quality of life. Estar Medical was founded in 1992 by Aaron Esteron – a polymer-science expert, entrepreneur and prolific inventor. Mr. Esteron, a pioneer in the design and development of vacuum collection and separation systems for blood and urine, was one of the first in the world to commercialize this innovative line of products being successfully and globally manufactured and distributed for many years both in the diagnostic and medical device fields. Estar Medical is globally recognized as the leading provider of a patented platform method to produce Autologous Platelet Rich Plasma (PRP) and other related Cell Therapy technologies for human use. This cutting edge platform technology is distributed under the registered trademarks of Tropocells® and Cellenis®, processes the patient’s own blood for the purpose of using the platelets, cells and essential proteins for indications in various medical disciplines such as dermatology, aesthetics, orthopedics, sports medicine, wound care, pain management, dental, ophthalmology, veterinary and more. Estar Medical’s unique products can be applied either on a standalone basis or as complementary along with other biologics and therapeutic methods. The Tropocells® and Cellenis® innovative product portfolio is based on a proprietary patented technology which is US (FDA cleared for orthopedic applications) and CE certified (Class IIb), ISO 13485 approved working under strict GMP regime. Professor Ofer Levy is a Consultant Orthopaedic Surgeon at Berkshire Independent Hospital in Reading UK, who specialises in shoulder surgery. Founder and director of The Reading Shoulder Unit, an international center of excellence, with both NHS and private wings, based at the Berkshire Independent Hospital and at the Royal Berkshire Hospital. The unit treats patients with all types of disorders of the shoulder and elbow. This worldwide center of excellence is known for its advanced surgical treatments, teaching, and research. Prof. Levy treats patients locally, nationally and internationally and receives tertiary referrals of complex shoulder cases from other shoulder surgeons from UK and abroad and also attracts visiting surgeons from around the world that come to learn new surgical techniques. The unit is a world center for shoulder replacement. Treatments include: Sports Injuries, Fractures, Dislocations, Arthritis, Tendon tears, Degenerative Conditions and Children’s abnormalities. Most of the operations are minimally invasive with arthroscopic (keyhole) surgery, with Shoulder Reconstructive Surgery, Total Shoulder Replacement, and Rotator Cuff Repair, complex shoulder problems. 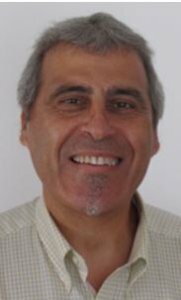 Ofer Levy is also a Professor & Chair of the Orthopaedic Research and Learning Center in Brunel University, West London. Assistant editor, Journal of Shoulder and Elbow Surgery. Reviewer for the JBJS, Arthroscopy, British Journal of Sports Medicine, KSSTA, Int. J Shoulder surgery. Special External Examiner at Masters Degree level, The National University of Ireland and the Royal College of Surgeons in Ireland and the University of Central Lancashire, UK. Published over 400 publications & presentations of scientific papers, written chapters to books on Shoulder Surgery and invited to lecture worldwide to over 130 national and international conferences including as guest speaker by the national Orthopaedic associations of Chile, Brazil, Israel, Belgium, South Africa, shoulder societies of Great Britain, Belgium, Spain, Italy, Greece, Norway, Brazil, Chile, Israel, Germany, Turkey, Austria, USA and Latin America. ESSKA, ISAKOS, EFORT, ICSS, SECEC, the Royal College of Surgeons of Ireland, the national arthroscopic associations of France, Germany, Spain, Greece, Italy, Norway. He organised over 40 international courses on shoulder surgery, for arthroscopic surgery and shoulder arthroplasty. His Teaching and Research Interests are including Bio-mechanics, Kinematics, Surgical Anatomy, Surgical Technologies, Arthroscopic and minimal invasive surgery, Total joint replacement (Shoulders), Muscloskeletal infections, Development of virtual reality arthroscopic simulators. He was awarded the Kessel best research award of the British Elbow and Shoulder Society 2010. Prof. Levy is a member of the British and Israeli Orthopaedic associations, and a founder member and first secretary of the Israeli Shoulder and Elbow Society, a member of the European Society of Shoulder and Elbow Surgery and the British Elbow and Shoulder Society (BESS) and corresponding member of the American Shoulder and Elbow Society (ASES) – for outstanding contribution in the field.